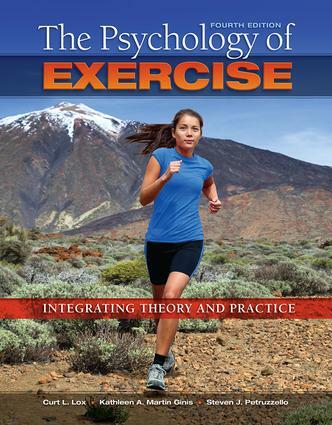 The Psychology of Exercise: Integrating Theory and Practice, fourth edition, continues to weave together theory, research, application, and interventions to provide readers with a solid foundation in exercise psychology. In this comprehensive, accessible, book, the authors apply prominent theories and models to actual situations encountered professionally. Compelling graphs, models, other visuals, and effective pedagogical aids further enhance the material. The chapters in Part I help readers understand and modify exercise behavior, while those in Part II discuss psychosocial influences and the consequences of physical activity. Among the topics explored are the impact of exercise on self-perceptions, including self-esteem and body image; stress, anxiety, and depression; and emotional well-being. Chapters on the relationship between physical activity and cognitive function as well as health-related quality of life offer the latest information for these areas of study. New streamlined chapter on self-perceptions and exercise, which combines previous chapters on self-esteem and body image. This more logical presentation of related topics makes it easier to teach these topics and better depicts their intersection. Refocused chapter on health-related quality of life and exercise, to include more emphasis on special populations and demonstrate how exercise can benefit those who have chronic diseases, chronic disabilities, or physical limitations. Discussions throughout on mobile devices, apps, social media, and high-tech point-of-decision and how these technologies can be used for tracking and measuring physical activity and for offering social support. Updated references, glossary, and graphics.